Michael DuVernois grew up in Newington, Connecticut, and as a result still says “tag sale” to refer to what many call garage, or yard, sales and he pronounces the final “R” in area and idea. He attended the Georgia Institute of Technology, which was a culture shock, graduated with a perfect 4.0 in physics, and still managed to have something that passed for a life outside of classes. He attended the University of Chicago where he earned an M.S. and Ph.D. in physics and astronomy doing thesis work under the direction of Professor John A. Simpson (deceased) in the area of cosmic ray astrophysics using spacecraft experiments. He then worked as a postdoctoral fellow at the Pennsylvania State University under the direction of Professor James Beatty on a number of particle astrophysics experiments on balloon payloads and air-shower arrays, and then started his own research group at the University of Minnesota. 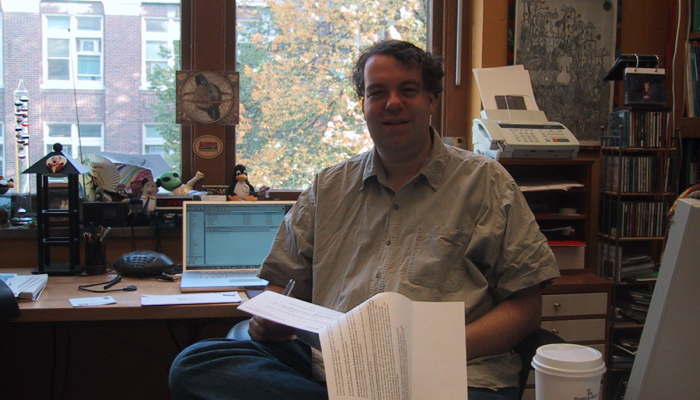 His students from Minnesota have moved on to postdoctoral fellowships as well as permanent positions at Queen’s University (Canada), CERN, University of New Mexico, Heidelberg University, and CalTech. His research is in the area of astroparticle physics, studying the cosmic rays and high energy neutrinos. Among his experiments were the HET instrument on the Ulysses spacecraft; the cosmic ray telescope on the CRRES satellite; the HEAT & HEAT-pbar antimatter balloon experiments; the CREAM long-duration balloon program; the CREST electron and positron synchrotron telescope; the Pierre Auger Observatory in Malargue, Mendoza Province, Argentina; and the ANITA neutrino balloon observation program over Antarctica. He is the author, or co-author, of about one hundred peer reviewed scientific papers, and many hundreds of conference proceedings. More recently, he was a visiting professor at the University of Hawaii and has joined the IceCube, ARA, HAWC, and LBNE experiments at the University of Wisconsin in Madison with the IceCube Research Center, since renamed the Wisconsin IceCube Particle Astrophysics Center (WIPAC) in 2010. Additionally he is available for physics, engineering, and project management consultations. In all of this, Michael has traveled to a shockingly large amount of the world, and has bowled on all seven continents. He is most proud though of his twin daughters, Mara and Sylvia, who have been helping him with all of the books he missed as a child. And that’s a good thing. He is nearly moved to Madison and is interested in most everything.